Laser-induced damage threshold (LIDT) is a key parameter in high power laser systems. Highly reflective mirrors are made by the combination of high index and low index dielectric thin films of materials, usually oxides, having high damage threshold. The aim of the present investigation was to study the effect of multilayers on LIDT for a combination of high and low index material films with the increase in the number of layers. Firstly, we chose a combination of relatively high damage threshold high index (H) and low index (L) oxide materials, like TiO2 and SiO2. Then, we chose five reflective samples with increasing the number of layers starting with a TiO2 single quarter wave optical thick (QWOT) layer, three-QWOT layer (HL)1H, five-QWOT layer (HL)2H, seven-all QWOT layer (HL)3H and seven-layer (HL)2H 1.6L0.4H with upper two non-quarter layers for sample preparation using electron beam deposition. It has been found that LIDT measured at 1064 nm for single layer is large (2.09 J/cm2), decreases for three layers and remains nearly constant (1.51 J/cm2) as the number of multilayers increases further. When LIDT is measured at 532 nm, LIDT of the single layer and multilayers remains almost the same. However, in case of top two layers made of non-QWOT in seven-layer design the LIDT of the samples in both the cases improved. 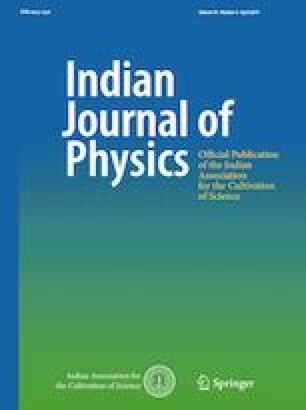 This work is supported financially by University Grant Commission, New Delhi, under Basic Science Research (BSR) fellowship. The authors thank Ashok Bhakar, RRCAT Indore and M/s Light Guide Optics for allowing us to use their deposition facility. Funding was provided by UGC-BSR (Grant No. 7-179/2007(BSR)).